Globally, 42 countries are either holding consultations regarding 5G spectrum, reserved spectrum for 5G or announced plans to auction frequencies in 5G spectrum. In Europe, 12 countries - Belgium, Bulgaria, Germany, Hungary, Ireland, Italy, Netherlands, Romania, Slovakia, Spain, Sweden and UK are currently holding consultations. Seven countries - Austria, Finland, France, Denmark, Netherlands, Poland and Switzerland are planning 5G spectrum auctions/allocations between 2018 and 2020. In Asia-Pacific, four countries are currently actively consulting or considering options say India, Japan, New Zealand and Singapore with at least eight auctions being planned in Australia, China, Hong Kong, Indonesia, Pakistan, South Korea, Thailand and Vietnam. Countries in the Middle East and Africa are Bahrain, Egypt, Morocco, Namibia, Qatar, Saudi Arabia, South Africa and UAE are consulting on 5G spectrum. In the Americas, Canada, Mexico, Brazil and USA are also looking at the future use of spectrum suitable for 5G services. AT&T of the US and China Mobile of China is planning to deploy 5G in 2018 but SK Telecom of South Korea has taken the lead with the deployment of business applications 5G like autonomous driving city in Hwaseong. SK Telecom announced that the company along with Korea Transportation Safety Authority (KOTSA) has successfully deployed 5G infrastructure in K-City, the country’s pilot city for self-driving and is the world’s first 5G infrastructure-equipped test autonomous driving city. K-City achieved an end-to-end system, meaning that both wireless and wired slots in the facility are connected in 5G network. To realize its 5G infrastructure, the latest 5G technologies — 5G virtualization, beamforming and beam-tracking were adopted. On the other hand, AT&T has announced to introduce mobile 5G service in a dozen markets by late 2018 and expects to be the first US company to launch mobile 5G services in the country. To make this happen, AT&T was focusing on standards acceleration in 2017 as AT&T 5G services will be based on industry standards for 5G. 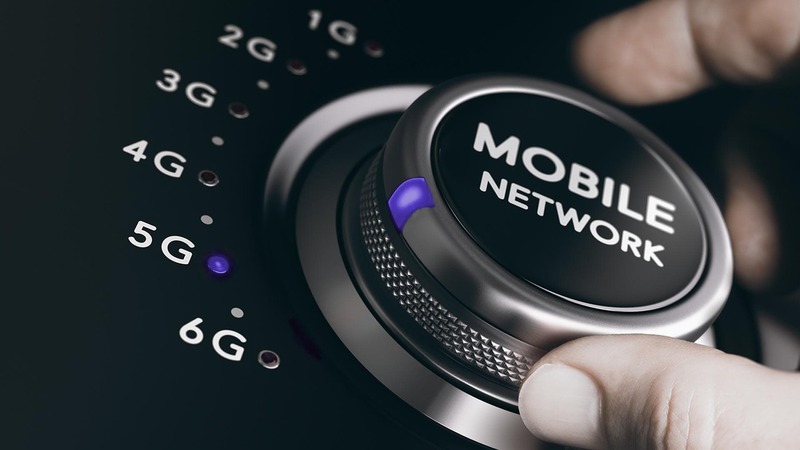 Due to AT&T’s acceleration, 3GPP, the international wireless standards body, completed key elements of 5G new radio (NR) standards last month. With these specifications now available, hardware, chipset and device manufacturers can start development. On the network front, it is expected that 5G commercial network will be launched by Q4 2018. In 2019, one can expect commercial launch of 5G mobile devices by multiple device vendors. One can see 5G use cases which include enhanced mobile broadband to smartphones; always connected PCs; head-mounted displays (HMD) for virtual reality (VR), augmented reality (AR) and extended reality (XR); and mobile broadband. 3GPP has specified the overall 5G system architecture; detailing features, functionality and services including dynamic behaviour defined by information flows. The system architecture provides interworking with and migration from 4G, network capability and exposure and numerous other functionalities. The related work in the RAN, security, OAM and CT working group continues with some specific Stage 2 Level aspects and with delivering Stage 3 Level specifications until June 2018. As latencies are different for different applications so one has to focus on providing different capacities for number of UEs and data traffic so that one can improve on QoS. 3GPP has released the first set of 5G NR standards but the full schedule of Release 15 calls for completion in June (2018). Once released, it will complete the so-called standalone (SA) system – that will not have to rely on LTE for control plane communications. It will have full control plane support for the new 5G radio. Going forward, 3GPP will talk about compatibility with 5G network. India has also deployed a High Level Forum for 5G whose vision is to deploy 5G by 2020. DoT will also support establishment of an indigenous 5G Test Bed at IIT, Chennai. IIT Chennai will also work on the development of Internet of Things (IoT) and Machine to Machine (M2M) applications which are relevant thereby boosting Make in India initiative. The focus of the committee is to focus on finalisation of 5G standards, design and manufacturing of 5G products in India, promoting 5G startups for enabling designing and manufacturing, generation of IPR and patent and use cases for different industry verticals in India. Developing use cases or proof of concepts for different verticals. Designing and developing of Make in India 5G products so that use cases are ideal for Indian environment. Supporting 5G test beds and technology platforms to drive 5G startup eco-system. Helping industry verticals for coming up with innovative applications in agriculture, manufacturing, energy & utilities, public safety & health, retail and others. Helping startups for generation of IPR, patent and use cases for different industry verticals. Coordinating with DoT and WPC for finalizing WPC spectrum. Please click here for expressing interest to join as a key member of the 5G Steering Committee.